Ralph Johnson received his BA and his MA from the University of California, Berkeley. He is the recipient of several awards. Johnson was a distinguished professor of art at the University of California, Davis for over 30 years and was one of the first members of the Department of Art. He served as chair of the department of art from 1981 to 1983. 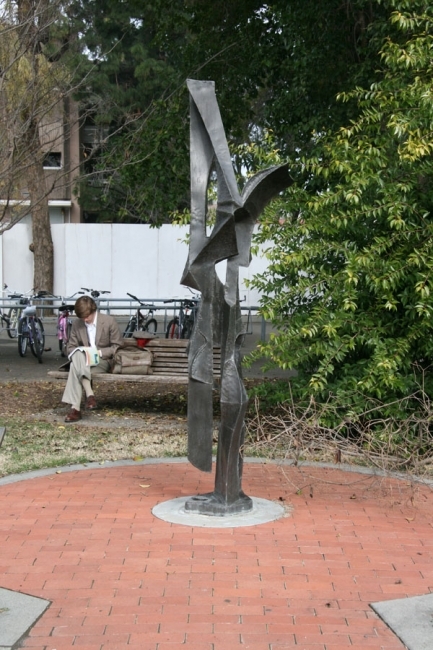 During the late 1950’s, the art department at the University of California, Davis needed help in several areas and Johnson began teaching sculpture and fell in love with the process. By the 1970’s Johnson had made the transition from painter to sculptor. His oeuvre includes painting, sculpture and several works on paper.